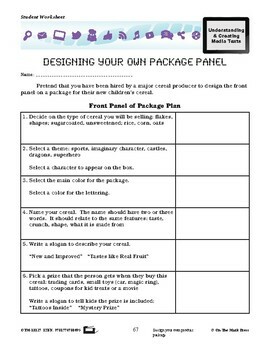 We buy products in a variety of packaging. 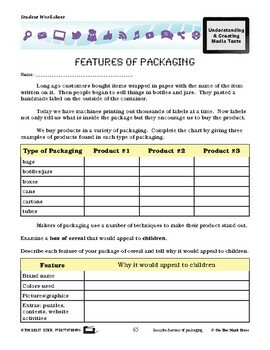 Your students will complete the chart by giving three examples of products found in different types of packaging. 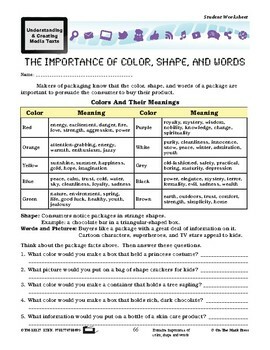 They will learn about the importance of color, shape and words on packaging, and design their own package panel. 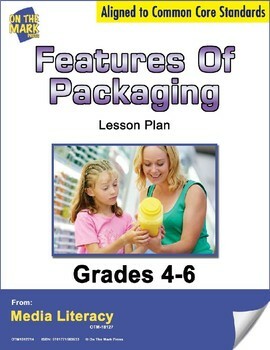 Meets Common Core by describing features of packaging, examining importance of color, shape and words, designing your own product packaging.